After becoming an official pokemon trainer and receiving his starter kit, Asin packed his bag with food, supplies, his starter kit, and anything he would need for his journey. After an entire day of preparation, Asin "hit the hay" early. With fully-restored energy, Asin woke up from his lonely cabin near the forest early in the morning, sent riolu out from his pokeball, and began his journey as a pokemon master. "According to this Trainer Guide Book I purchased yesterday, the first step to a successful trainer is winning all eight badges from different gym leaders in a targeted region. Sounds easy enough," he said to riolu as they walked. "And that means our first stop is at the Coveopolis Gym in Coveopolis City. According to the guide book, the gym leader of the city is pretty tough. Guess we're going to need some backup riolu." As the two continued and headed down a narrow route, they ended up looking at a huge cave entrance. "Guess we'll have to go through. And I bet we'll find some useful pokemon too," Asin said. Riolu, excited smiled and nodded back as they entered the cave. "It's pretty dark in here......" Asin mentions as he opens his backpack for a flashlight. Once he takes is out, he turns it on and points it around to check the cave. "Amazing! This cave is huge! It looks empty though. Strange. I though there would be........." Asin says as he is cut off when his flashlight turns off. Asin quickly slams the flashlight back on, only to see riolu tense and worried. "What is it pal?" Riolu doesn't even look at Asin as he concentrates on his surroundings. "Riolu? What is it? Is there somethin......." Asin is cut-off again as the flashlight flies from his hand to the floor hard, smashing the light." The Pokemon that had smashed it was none other than a Roggenrola that had used Rock Blast on the flashlight. The attack smashed it out of his hands making the room dark to its liking. It than used it's extra large ear to sense where Riolu was. However, before it attacked Riolu, it used Harden to strength it's defenses. It than splashed some sand into the eyes of Riolu to distract it. Than it did a full on Headbutt and rammed Riolu right into the side of a cave while smashing through a stalagmite causing serious damage from right off the bat. "RIOLU!" Asin shouted as he watched his partner undergo severe damage. "You'll pay for that you piece of rock! C'mon riolu! Get up!" Asin shouted as he encouraged riolu to get back up, as he did. "Alright, riolu. Let's teach this rock-hard poke-punk a lesson! Now Riolu, use quick attack to run to its side and follow up with counter!" commanded Asin as riolu obeyed. Due to Roggenrola's previous attack being a Normal-type move, the attack dealt double the damage to Roggenrola sending it flying into the wall as hard as it could. However, it was not going to give up that easily. It than used Rock Blast on Riolu sending multiple flying rocks to hit Riolu. After sending five rocks, only 2 of them hit causing a fair amount of damage to the already injuired Riolu. Asin rushed to Riolu's side to assist him in getting up. He quickly bandaged his leg, then helped riolu continue. "This was fun, really, but time to end it. Riolu! Use your quick attack to boost your speed, run in a circle around that pokemon, and confuse it!" Asin commanded as his plan went underway. "Now, run toward the pokemon, slide under it, and strike a severe brick break from its bottom," Asin exclaimed as the whole process flashed before his eyes. Even though Roggenrola was way heavier than Riolu, it was able to time it's jump perfectly so that it got out of the reach of Riolu. 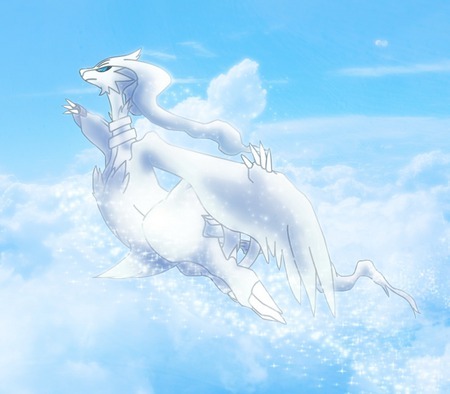 Than as it was coming down, it shot another Rock Blast attack at Riolu this time hitting him five times causiing serious damage especially when the one was a critical hit. It than used Harden waiting for your next move. As riolu fell into what seemed to be a fainted position, Asin completely fell onto the floor in a beaten position, exciting rogenrolla. However, when rogenrolla was distracted, Asin snapped his fingers, and riolu, who faked the act and was determined to win, used quick attack to speed up to rogenrolla and smashed into it with counter. The attack did not do as much last time, but due to Roggenrola's low health it was highly effective. It started to almost faint, but it refused to do so without a fight. It than tried to launch a Headbutt at Riolu, but missed by a long shot, smashing through boulders and fainting. Now is Asin's chance to catch or run from Roggenrola. As Asin smiled at the sight of rogenrolla's defeat, he took out his pokedex and examined it. Pokedex: "Roggenrola, the Mantle Pokémon. Roggenrola's body contains an energy core which is hard as steel from being compressed underground." "Roggenrola, eh? I've heard better names but this ones tough. So..........pokeball go!" Asin exclaimed as he caught roggenrola. Roggenrola was quickly sucked into the Pokeball. The ball moved back and forth furiously indicating a struggle was going on to escape the pokeball, but than at the sound of the ding, Asin knew Roggenrola had been captured.